God Can Be Your “Really” Father, Too! Happy Father’s Day to all the fathers and to every single mother trying her best to fill both roles! When it was released in 1987, U2’s “I Still Haven’t Found What I’m Looking For” really struck a chord with me. At that time, I hadn’t yet consciously embarked on my search for peace and purpose, but I sensed, as I always had since childhood, that there was something far deeper, richer, and far more meaningful to this life. It took another 7 years until I found what I was looking for, and it wasn’t in the religious trappings that had been my experience growing up. Those rituals, though they hinted at something more profound and potentially attainable, were more like an exasperating tease than an invitation to keep searching. Like an old friend that unexpectedly but pleasantly pops back into one’s life after a period of absence, I heard the song playing recently, and since for some reason I wasn’t able to shake it off, I soon found myself reading the book, Bono: In Conversation with Michka Assayas, in which the singer freely shares with a music journalist friend his views on family, faith, and justice, among other things. At the time the song debuted, the members of U2 already held fairly strong positions of faith; and Bono, concerned with the question of poverty even then, had already begun to develop a sense of his greater calling in life, which he can be seen actively pursuing today. Considering that they grew up in a region of the world that has witnessed countless acts of violence carried out in the name of religion, I find it interesting that neither Bono nor his fellow band members ever used this as an excuse to avoid seeking God for themselves. Interesting, because we all can probably think of at least a few people who have rationalized neglecting their own spiritual pursuits on the basis of a great deal less than the violence that has been carried out there and in other places under the guise of religion. (The occasional run-in with the “hypocrites” at the local church is generally off-putting enough). But perhaps being the offspring of a Catholic father and Protestant mother who enjoyed a good marriage in spite of opposition to their union had something to do with Bono’s open-minded, mature outlook on issues of faith even during his youth; and although by his account his parents didn’t take religion too seriously and felt it was an obstacle to reaching God, their evident commitment to their children’s spiritual development clearly demonstrated that they saw a certain value in planting seeds of faith in their lives. As Bono tells it, his late father admired his son’s faith—he had a wistful envy of Bono’s relationship with God, a keen interest in his spiritual journey, and seemed more impressed by the band’s faith than by their success. According to Bono, given that his father typically saw him as the family idiot and expected less of him than he did of his older brother, on some level he was proud of Bono’s success, but not outspokenly so, and only as long as it didn’t intrude on his privacy. (Bono shares the amusing story of his father standing up and waving his fist at him when the spotlight was turned on him after Bono unexpectedly announced his presence at a concert.) I find it admirable that his father had such a healthy respect for his son’s faith. Quiet introspection must have led him to the conclusion that his one-way conversation with God could not compare with his son’s two-way faith experience, yet he didn’t appear threatened or intimidated by it; he was simply curious. It’s not clear whether the father ever found what he was looking for before he departed this life, but it’s evident that the son has. And you? If you haven’t yet found what you’re looking for, I encourage you to keep searching. We are promised that we will find God if we search for Him with all our heart, so may none of us allow the actions of a few misguided, overzealous, wayward, or mentally unstable individuals to stand in the way of our efforts and to dictate our own spiritual destiny. 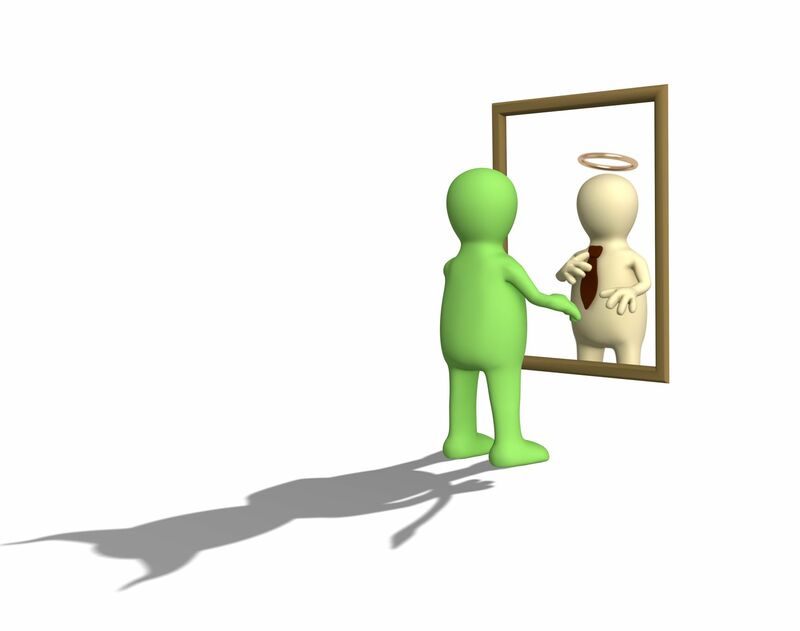 We need only reflect on our experiences over the past 24 hours to find the shocking evidence that, even when motivated by the most well-meaning intentions, the best of us are just like the rest of us—prone to error. It’s in our DNA! Until next post, I leave you with this brief trip to the past. Click below to enjoy!